Google has pushed out the initial beta version of Chrome 74 in which the browser gets support for dark mode in Windows 10, a feature we’ve been expecting since the beginning of the year. Indeed, dark mode arrived in macOS with Chrome 73 earlier this month, so Windows 10 is still playing catch-up here. And the good news is that just as on the Mac, when you turn on system-wide dark mode in Windows Settings, Google’s browser will fall in line with that command, and automatically switch to dark mode. Similarly, if you switch to the system-wide light mode which is incoming for Windows 10 with the April 2019 Update, Chrome will revert to its normal appearance automatically. As you may recall, Microsoft introduced dark mode for Windows 10 last year, and it went live with the October 2018 Update – although you may well be one of the apparently numerous users who haven’t received that upgrade yet. 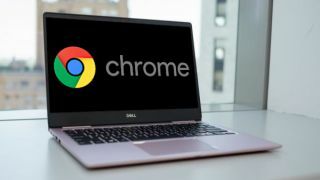 Another interesting change with the Chrome 74 beta is a new feature to reduce motion sickness that may be experienced when browsing the web. In other words, this is about banishing fancy animations involving the likes of parallax scrolling which may cause some people discomfort to view, and if you have set operating system-level options to disable or remove animations for such reasons, Chrome will also respect this and automatically fall in line with that preference. The caveat here, however, is that the developer of the website must have implemented an alternative version of the web page(s) minus said fancy animations – or simply with some options tweaked, such as videos not auto-playing – for Chrome to display.